Last Friday at the Koru assembly we had so many children receive certificates! Well done to Vihan, Alvin, Gloria and Aamna. They have all been working very hard. Lots of proud learners here! 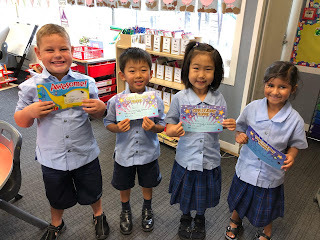 Congratulations Vihan, Alvin, Gloria and Aamna on getting your awards.